Alex J. Cavanaugh: The Ninja News… and More! The Ninja News… and More! I’m honored to have a guest post this afternoon at TL Conway’s site giving a convincing argument that NaNo Novels Can Rock! Thanks again to Lynda at W.I.P. It for allowing me to talk about writer support on her blog this week! 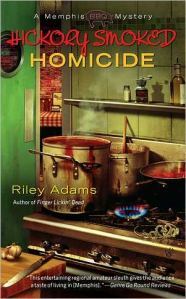 Elizabeth S. Craig’s new book came out on Tuesday - Hickory Smoked Homicide. Donna Shield’s book, The Swan Cove Murders, comes out November 9. Sommer Leigh’s group is for those officially participating in NaNo. Lydia Kang is hosting an awesome 1000 followers giveaway. Karen is hosting the Best Awards Show Ever Blog Awards. Nominate your favorite today. The 411 Movie Awards are still in the nomination stage. I’ve been nominated for Best Science Fiction Blog and Best Blog Post (for the Worst Movies Ever Blogfest.) But, it’s only the top five nominated blogs who go on to the voting stage! George at Cinemarvellous! had been nominated for Gold and Best Design and Melissa at Melissa’s Imaginarium for Sexiest Female Blogger, so don’t forget these awesome bloggers when casting your nomination. The A to Z Challenge blog is up, so be sure to follow to get all the news on this awesome challenge for next April. Dave Wrote This is hosting The Noughties Blogfest on November 14. And Draven at Another Slightly Scary Story is looking for short scary stories or guest posts. And yes, now I understand the obsession of checking Amazon rankings. I can’t help it - it’s freaking me out! Don’t forget to visit TL Conway’s site this afternoon for NaNo Novels Can Rock! We are going to try to see that Hugh Jackman movie today (forget the title) but it's the one where he trains the robots. My husband wants to see it; I'd like to see Hugh Jackman. ;-) Have a great weekend! How do you keep up with all this stuff? I barely know it's Friday. I guess that's why they call you Captain Alex. Anne, this Ninja gets around. It must be your Ninja mind keeping up with everyone. Wow! So much going on I have to read this again. Wow, you do it all! I hope you have a great weekend and enjoy your break on Monday. Awesome that you were nominated best blog. Congrats! Thanks and everyone have a great weekend. My head just exploded with all these hip n happ'ning things!! YAYYAYAYYAY! big hugs! Off I go to vote for the Cap'n! ERm... ok... my grey cells are greyer and older - you;ve been NOMINATED and the voting is not yet happening. My noughties blogfest is already written. I hope to have time to see The Three Musketeers this weekend. Lots going on, not so sure I'll make it to the cinema, but I'm going to try. Enjoy your down day on Mon! Wow, this really is the hub of All Things Wonderful, isn't it? I'll look forward to another Melody Hill review, but I won't read any untill I've posted mine, just so I'm not influenced. I am enjoying the album, though, and "On the other side" keeps getting stuck in my head! I don't know if I'll see a movie this weekend, probably not. My Nano is going slower than I thought it would. Mostly because I chucked my outline about 10 words in to the story. I must be doing it wrong. Awesome stuff, Alex. So much good news that it will make my Friday even better. I think I slept all week - can't believe it's Friday. Off to your guest post (the link isn't right but easy enough to figure out). Kitty, you can still nominate me! The blogs with the most nominations in each category go on to the voting stage. Will, it wasn't my normal fare, but I was really impressed. Rusty, you changed horses, didn't you? Tonja, sorry, I fixed it. I wonder when you chose Ninja, you knew you were going to be this efficient and quick! Wow. You are seriously the busiest dude in the world. Thanks for the shout out! The NaNoers on my list are doing awesome!!! I'm keeping on task with NaNo, and I'm super happy you did a post about how NaNo rocks. This is my first year and so far I'm keeping pace and loving it. We'll see how it goes at the end of the month! Love keeping up with you and the news, Alex. Such energy! Can I have some of what you are having? Please? Yay! Thanks for the shout out Alex. I hope you have a great weekend. Thanks for the mention and for the great guest post! No movie plans for me this weekend. Instead, I have a hot date with my NaNo novel. I'm seeing pots of coffee, sweatpants, and lots of snack food in my future. Lord have mercy, Alex. You're like the energizer bunny. I'll have to check out your guest blog. Excellent roundup. Ever consider starting your own youtube channel for writers? That A to Z challenge is an amazing experience. I learned tons when I did it this year, including how to prepare posts early and schedule them for later release. I read somewhere that if Alex takes a day off, a ninja chops the head off of a kitten. Seeing as you are the ninja master...all that blood is on your hands. have a great wknd, super ninja! Laila, I am so sorry! Prayers for your family. Moody, that is an idea! Mark, I'm just amazed at it's growth. Michael, but it's just Tawney Kittaen, so it's all right. Thanks for the news and the links. And congratulations on winning a signed postcard from Cherie Reich. NaNo is going well so far. I need to get off Blogger, though! Congrats on the nomination! I knew some guys who were training for Ninja Warrior competitions -- kinda scary guys. But you're a very good Ninja too. NaNo's going well . . . I'm not as far along as I'd like to be, but hopefully I'll write a lot over the weekend. Boy are you ever a busy beaver over here. All this fascinatin' info is makin' my head spin. Congratulations on the nomee, best of luck to ya. God bless and have a wonderful weekend Man!!! Just watched an amazing Korean film on Netflix called- Castaway on the Moon. So good. How do you keep up with everything Alex? and comment on people's blogs. I can't imagine you missed anything, Alex. Good luck with NaNo and thanks for the never-ending supply of brownies. Julie, let me know wha thou think do Tower Heist. Helena, I'm not that scary. Nezzy, you as well! So much energy. Thanks, guys. Trying to keep up! I really enjoy Insecure Day. There are so many great blogs to visit I spend three days trying to get to as many as I can. Can't wait for A to Z. That's a lot of links. Thanks for the A to Z plug. Thanks for the awesome linkage! Checked out your post at TL's blog and it was very inspiring. You are so wonderful at encouraging others. Wow! That's a lot of events! Best wishes to all releasing books. I know Elizabeth and Donna and wish them the best! I'll start Nano this weekend. I'm a notoriously slow starter but I'm built for endurance and sprint for the finish. Congratulations on the nomination, I hope to see you in the voting phase. Susan, I know - I haven't visited all of them either. Stephen, it's not too late. Alex! How in the world do you keep up with all this stuff? I am stunned here regularly! Hickory Smoked Homicide's cover looks incredible. Lots of great links! Thanks! Thanks for all the links, especially the A to Z! I'll be heading over. Awesome stuff, Alex. I need to get back to things. Great links, Alex. Thank you for sharing them. Donna's book promises to be very well. She rights, I'm just a Ninja! Been slacking this weekend though. George, I hope they do as well! Alexia, I never used to look either. Angela, I'll check it out. Awesome!! Thanks, Alex. Off to read your guest post! You are truly a rocking ninja legend. Thanks again for your fantastic guest post. Holy Ninja! You are amazing to keep up with everything! tip of the day - step away from the Amazon rankings!!! NaNo novels CAN rock! Love that - and needed the encouragement from that. I'm only a little over 10,000 words in. I am LOVING it! Hickory Smoked Homicide? Mmmm. . .I love barbeque. There's so much here, if you missed anything dn't tink anyone would spot it. I am so excited about the A-Z challenge blog. These news posts are great for catching up! BTW we gave you a "Pied Piper" award! Head over to http://geektwins.blogspot.com/2011/11/friends-friday-catch-cassafire-blog.html to pick it up. I really enjoyed the Insecure Writer's Support Group posts as well. This is a great post. Thanks for sharing, ALEX. Have a SUPER Week. Terry, is that a warning of something bad...? Ok, I really gotta check out this insecure writer's support group. I really need it. And congrats again on climbing the Amazon charts - don't worry too much about it ;) Thanks for the updates, Ninja Captain! I'm exhausted just reading this list! I noticed your book moving up. Congrats! ER, you will some day - just believe! Pat, fortunately I really know how to juggle. Jemi, don't get eaten alive. That is a lot of news! Congrats on your nominations! I think far too many people make far too big a deal about the quality of NaNo projects. To be clear, I've never attempted it, but I don't see why drafting something for NaNo would be much different than drafting in any other time; which is to say it's all going to a little rough around the edges. I'm with Anne - how on earth do you keep up with everything going on? Crazy! Ha, welcome to the crazy world of Amazon rankings! AJ, exactly. Any manuscript requires preparation and then a lot of cleanup. Talli, it is crazy! I keep watching it bounce up and down. Wow! You are my go-to person for what's going on in the blogging world. It makes me tired to imagine compiling all these links :)! Thanks for plugging The Noughties Blogfest again, Alex. See you on the 14th of November. I need to check out the Insecure Writer’s Support Group. That sounds awesome! Chris no know ... what NaNo? Yes, checking the Amazon ratings is the bane of my existence. Thanks for the great info, Alex. I don't know what we'd do without you! Christopher - National Novel Writing Month, which is November. Thanks for telling everyone about the blog and submissions. I know everyone is busy with NaNoWriMo right now. I'm going to go check out all these links. For now, I am letting NaNoWriMo take everyone's time and not doing many slightly scary stories. Great post again. Wow the A-Z challenge is up already? Holy bananas! I bet there'll be at least 2000 entries this year! wonder how i'll manage to visit all these awesome blogs. what a party this is! I'm checking out these blogs!